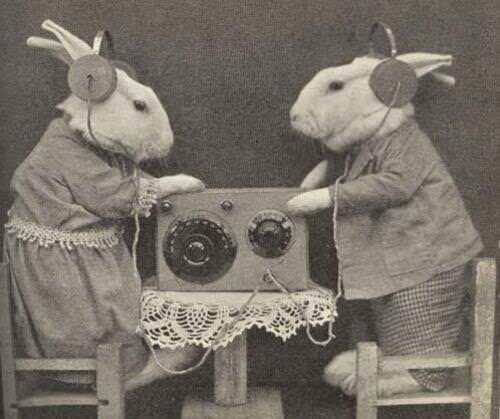 "Easter Show on Fibber McGee & Molly"
Hop into your bunny suit and boil some eggs for breakfast, because this collection is sure to put you in an Easterly mood. 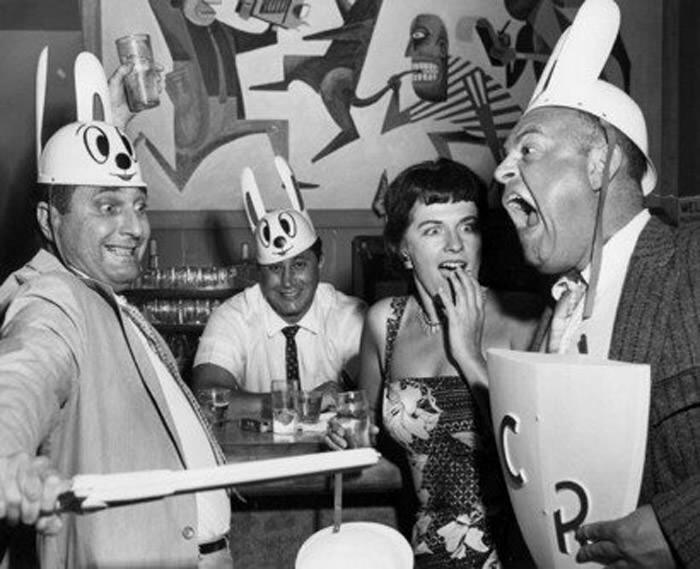 Find eggs hidden in drain pipes with wackster Mel Blanc, get some dye on your new trousers when you decorate eggs with Miss Brooks and Molly, and watch the downtown Easter Parade with Jack Benny. Whatever you do, don't open Fibber's closet full of eggs! Most religious holidays celebrate an aspect or feature of the faith they represent, but the Christian Faith is pretty much summed up by the celebration of Easter. At Christianity’s most basic level, Christians believe that Jesus Christ was persecuted, put to death on a cross, sealed in a tomb, and rose from the dead two days later. Non-Christians can appreciate Easter as a celebration of the coming of springtime. Apart from its somewhat depressing subject matter, Easter is a difficult holiday because it is a moveable feast. This does not mean that we eat at several different people’s houses like a progressive Thanksgiving dinner. Moveable feast refers to the fact that Easter falls on a different day each year. It is always on a Sunday, of course, but how do they determine which Sunday? According to the dictates of the First Council of Nicaea, there are two important rules for determining the date of Easter. One is that Easter is celebrated on the same day around the world, and the other is that the date is not determined in accordance with the Hebrew calendar (the Jews are largely cast the bad guys in the Easter story, which sets aside the fact that Jesus, the star of the drama, was himself a Jew). Easter is celebrated about the same time as the Jewish Passover (the Feast is part of the Easter story), but since the dates are determined separately, the Jewish and the Christian holidays do not always have the same calendar relationship. Easter is usually the first Sunday after the first full moon after the vernal equinox, but even this has been disputed over the centuries. One of the important symbols of Easter has always been the Easter Egg. Eggs are an important symbol of fertility for obvious reasons, but they also resemble a sealed tomb which new life bursts forth from. Decorating eggs is a common practice in many cultures, there were golden representations of ostrich eggs buried with Egyptian pharaohs because they symbolized the renewal of life. Easter Eggs were originally dyed red to represent the blood of Christ at the crucifixion. How did it become so important for the eggs to be hard-boiled before they could be considered Easter Eggs? There is actually a very practical reason for that. Easter is preceded by the season of Lent. Lent begins forty days before Easter on Ash Wednesday (the day before Ash Wednesday is Fat Tuesday or Mardi Gras in French). The Lenten season is a time of sacrifice and atonement, and many Christians believe that they should give up rich foods during this time, including eggs. Unfortunately, hens do not observe Lent and continue laying eggs like they do the rest of the year. Rather than allow this valuable food source to be wasted, the eggs are boiled for Easter Eggs so that they can be enjoyed later. It is actually a pretty small transition from hard-boiled eggs to chocolate eggs or colored plastic eggs filled with candy or prizes. 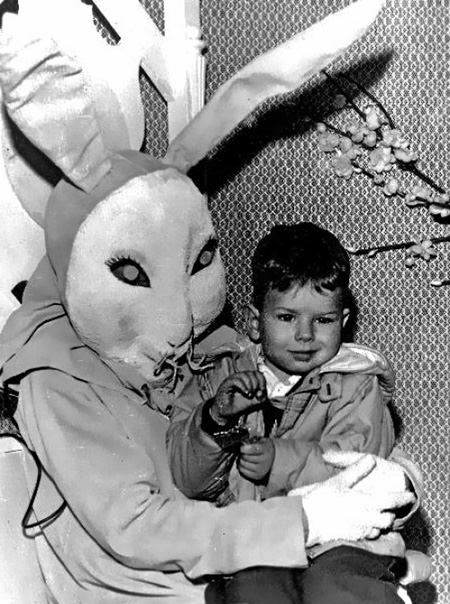 In many ways, the Easter Bunny is analogous to St. Nicholas at Christmas. It is the Easter Bunny’s job to distribute the Easter Eggs, presents, and candy on Easter morning. The rabbit with is large clutch of kits born in the springtime is another nearly universal symbol of fertility. In medieval times it was believed that rabbits and hares were hermaphroditic, and could produce young without the need to breed, and thereby could produce a “virgin birth”, further shoring up their reputation as a Christian symbol. Once chocolatiers developed the art of molding chocolate Easter Eggs, it only needed a small refinement of the art to create chocolate Bunnies. And as any over-sugared toddler can tell you, the ears are the tastiest part of any Chocolate Easter Bunny. Thank you so much Jon, I am captivated by the many programs you've sent me. When I get time, will search your catalog for other treasured classics. Happy Easter. 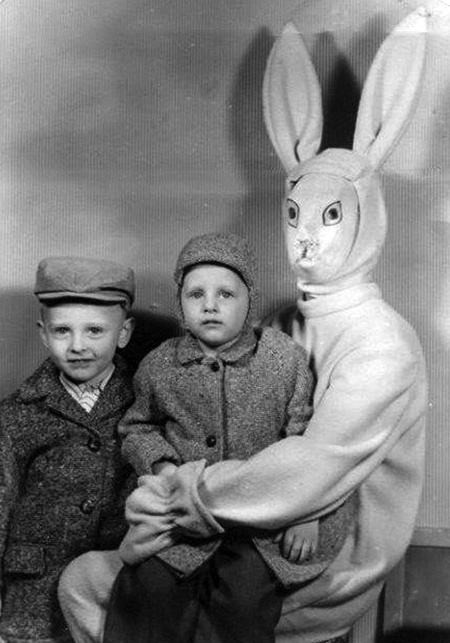 Thank you for sending the Easter Shows so promptly. They arrived Saturday. We enjoyed listening to them after Easter Brunch. Thank you for adding the My Favorite Husband and Ozzie And Harriet shows, and what a delightful surprise, the two songs were! Your Holiday Collections are the best.